Shale shaker screen is the most regularly ware parts for a whole solids control equipment in drilling job site. 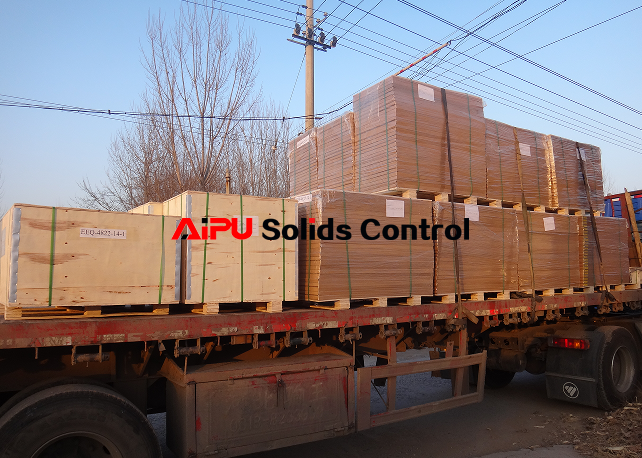 AIPU Solids Control build various replacement shaker screen for different brand and models of shale shaker. There are different type of shaker screen with frame type shaker screen or hook type shaker screen. For all hook type screen, it can be flat mesh or pyramid screen depending on drilling conditions. 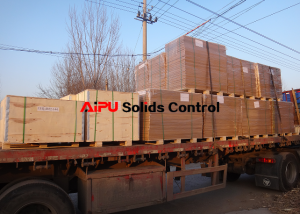 AIPU Solids Control deliveried many boxes of shaker screen to India this week to catch ship before China New Year holiday. The India client is working for off shore drilling with US brand of shale shaker. AIPU send 8 pcs of shaker screen sample for client test on jobsite and finally client ordered a big amount of screen for there current project. Shaker screen size like length, width, height. 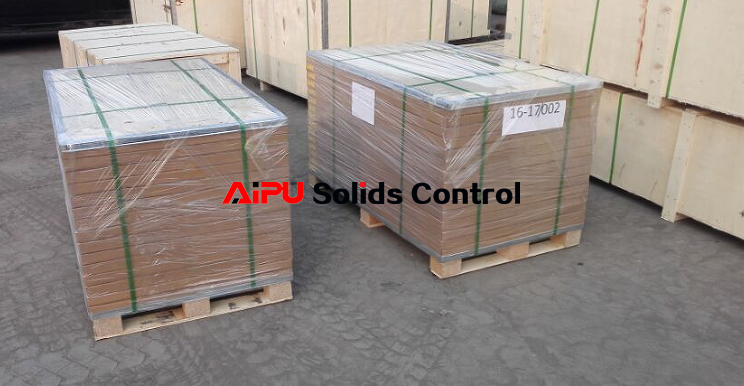 For example, AIPU has one screen size length 1050mm , screen width is 700mm, screen height 30mm. Shaker screen type like hook type screen or frame type screen. Normally frame type screen is flat screen and hook type screen can be flat or pyramid screen. If for new screen that not well known, then pictures to show screen appearance is necessary to confirm screen type and installation type. Screen mesh size or hole size by micron. Normally screen mesh size popular with API mesh, API RP 13C has a detail regulation of mesh size, microns, and particle pass. For PU material of screen, it’s popular to use hole size because the hole normally bigger.